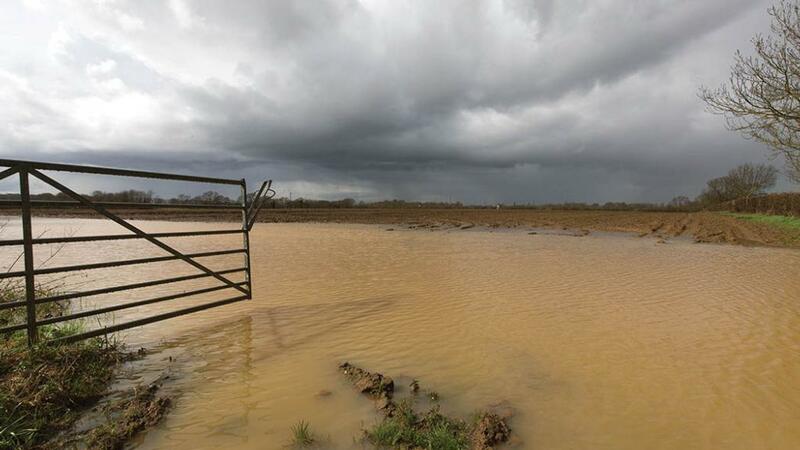 Farmers were facing fodder shortages, flooding and delays to spring drilling after the late start to spring was exacerbated by a deluge of rain and snow over the Easter period. Farmers Guardian In Your Field writer Russell McKenzie said it had rapidly turned into ‘the spring from hell’, as he battled to get crops in the ground. The weather could not have come at a worse time for farmers in the midst of lambing and calving, with some concerned for the knock-on effects on this year’s breeding season. Grass growth was down considerably at 13.9kg DM/hectare (5.6kg DM/acre), according to data from AHDB, compared with 41.2kg DM/ha (16.6kg DM/acre) last year, meaning many farmers were forced to supplement silage with more concentrate. In Northern Ireland, the Ulster Farmers Union said it was concerned about fodder pressures on farmers. For Adam Lockwood, growing onions and brassicas in Worcestershire, it was the worst spring he had ever seen. Drilling of spring crops was meant to start in February, but with his fields still waterlogged, it was now a case of damage limitation on winter crops. Slow grass growth and fodder shortages have put pressure on feeding livestock, with many unable to turn out. Prices for hay and straw have soared recently, with demand remaining strong. And it seemed the whole Northern Hemisphere was ‘on its knees’, according to Dundee straw and fodder merchant Alistair Hodnett. In the Republic of Ireland, the Government was preparing to launch a fodder subsidy, a month earlier than the last time one was introduced. Mr Hodnett said: “This time there will not be anything for them. This is by far the worst I have seen at this stage. The Scottish Government’s wet weather panel was meeting to consider a report from Scotland’s Rural College on the effect of harvest conditions on the availability of straw and forage. However, this will be of little comfort to livestock farmers facing fodder shortages now. John Bell, at Balnieil, East Fife, had snow cover again this week. NFU Scotland vice president and Stranraer dairy farmer Gary Mitchell said: "We zero graze quite bit and use a plate meter to measure the grass growth. “Last year we were cutting 2850 kgs per ha on March 4. “On March 28th this year were cutting 2450kgs per hectare. “That is almost a month of grass growth lost. Most people reckon it will compensate and by the end of the season we will have harvested the same bulk as usual but we will have to wait and see." Adrian Cannon at Tayler and Fletcher said it had seen 100 per cent clearance at its last sale of the season, with those with stocks taking advantage of prices at double those last year. “We are still getting regular enquiries,” he said. He added the weather would also affect next year’s prices due to low carryover.